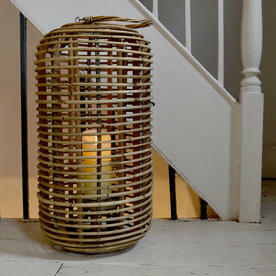 Gorgeous tall rattan lantern with internal glass candle holder. 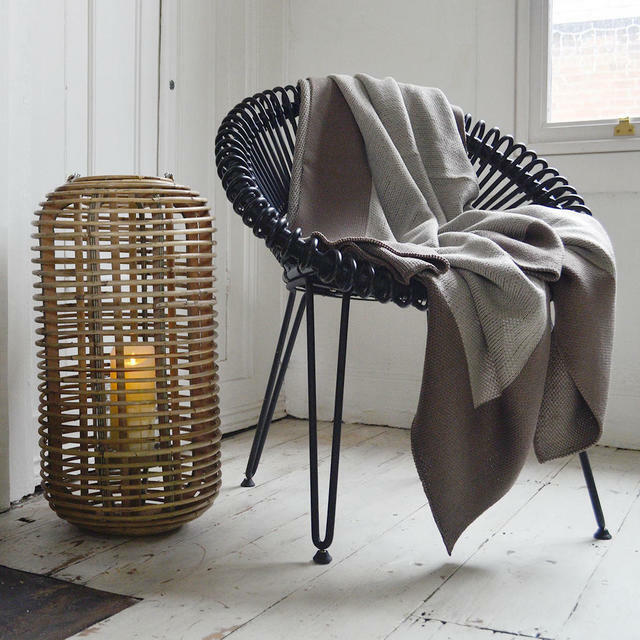 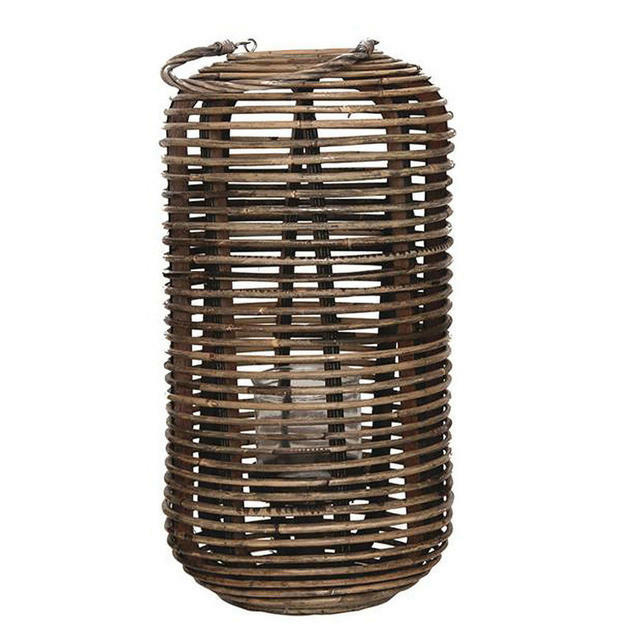 Give relaxed style to your garden room, conservatory or outdoor space, with this gorgeous handcrafted natural rattan lantern. Choose a natural wax candle to sit in the glass votive. 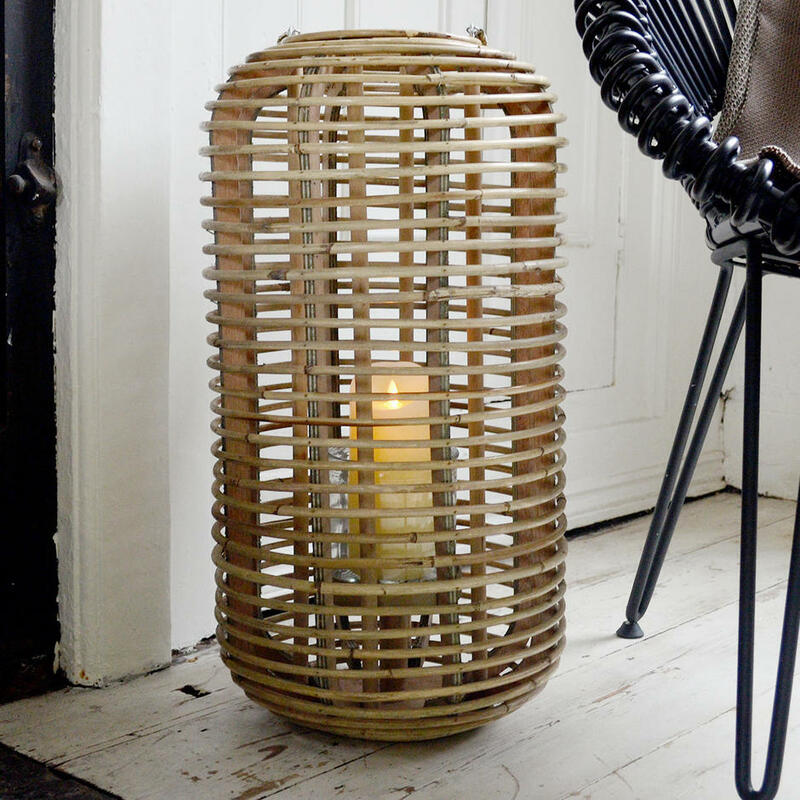 Alternatively, if you prefer, try a battery-operated flame candle, which will give a similar effect as a lit candle, with the flame flickering through the natural rattan slats. 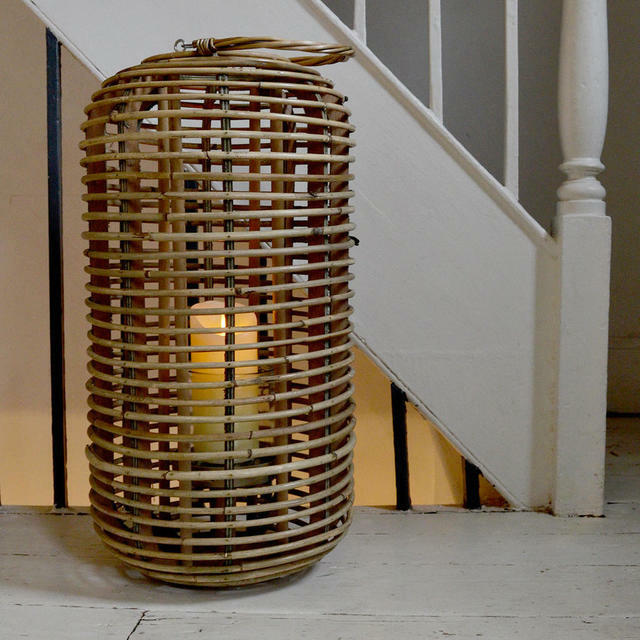 As the lantern is made from natural rattan, it should be brought inside when not in use, as this is a natural material, not synthetic. 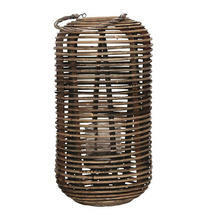 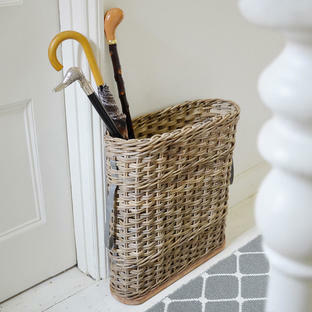 Made from natural rattan with glass votive holder inside.